FAKTR stands for Functional and Kinetic Treatment with Rehab. It is an assessment we use in the office to fix dynamic, athletic injuries to soft tissue. Using a stainless steel, dull tool we'll scrape the muscles during active movements to improve fascial adhesions, scar tissue, swelling, and muscle impingement symptoms. This technique treats many painful conditions like shoulder problems, back pain, tendinitis, and plantar fasciitis. 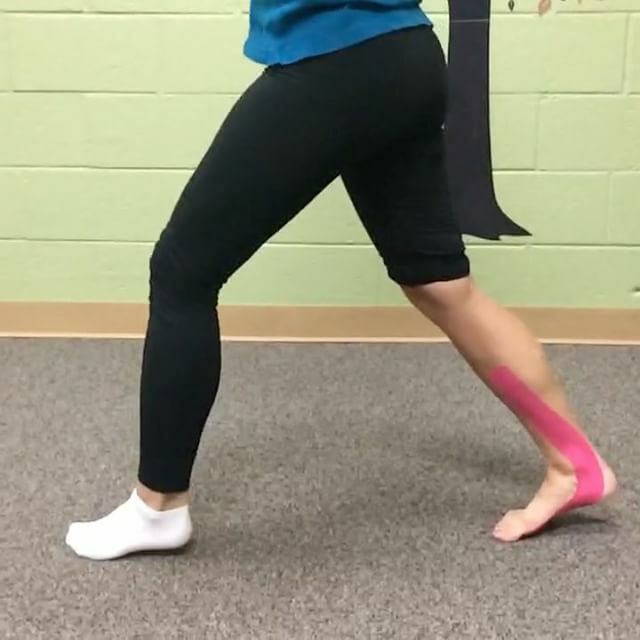 Similar to a popular technique called Graston, FAKTR is better suited for athletes because it combines movement with the treatment not just stationary scraping. Paired with weight bearing or resistance exercises, FAKTR is one of the best ways to relieve pain that your having while playing sports. This treatment is supposed to be minimally uncomfortable and should not be applied so hard that you bruise every treatment. Dry Needling is based on modern Western medicine, not ancient Chinese philosophies. It does not follow the energetic pathways of meridians (explained in the acupuncture tab) but is applied to "Ah shi" points which are painful areas of soft tissue. Dry Needling uses tiny needles to pin point the painful points in the soft tissues to stimulate local, controlled inflammation which will promote an orderly reconstruction and activate the healing process. This invasive procedure can reach a deeper and more specific region in the tissue than the doctor's hands can and helps to reduce the pain originating from trigger points and fascial adhesions. Dr. Chris Barnes explains that, "80% of dry needling is painless and most patients will not even know that a needle has been inserted. This type of therapy is further enhanced by the other soft tissue treatments performed in our office such as Active Release, Graston, and FAKTR." Kinesiology tape has many benefits besides looking pretty at races. This powerful elastic material lifts the skin due to the elastic pattern on the fabric tape. Ripples on the surface of the skin caused by the lift of tape give the inflamed tissue underneath space to decompress pain receptors, blood and lymph vessels. Then the body can spread the inflammation back through the blood/lymph stream to speed up the healing process. That is why bruised or swollen areas directly under the tape clear up faster than the unsupported tissue next to it. (See pictures below) Traditional white athletic tape does not have the same elastic components as kinesiology tape so it will not create this anti-inflammatory response. Not only does kinesiology tape benefit acute injuries and the edema process, it is more commonly used to facilitate neurological responses in movement patterns. Just applying the tape on your skin is not enough. At our office, we’ve been trained to combine different types of taping to properly manipulate the tissue and keep it there during your activity giving you temporary relief until we treat the primary issue that’s causing the pain. Applying tape at home may help but going to a practitioner that’s been trained to find the primary pattern of dysfunction and properly prescribe the directional pull of the tape will make a world of difference! And at Tensegrity Chiropractic, we have other few tricks up our sleeve to make tape feel magical thanks to the teaching of Dr. Gregory Doerr and Dr. Chris Barnes. Active release is a soft tissue technique that combines deep pressure points with specific movements that treats muscle, tendon, ligament, fascia and nerve problems. This treatment is perfect for active patients that suffer from overuse injuries in their knees, elbows, shoulders and hips. A few of the conditions that can be resolved quickly with this method include Headaches, back pain, carpal tunnel syndrome, shin splints, shoulder pain, sciatica, plantar fasciitis, knee problems, and tennis elbow.